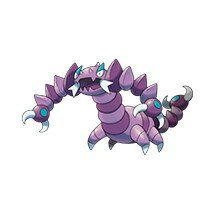 This page contains all the information available for Drapion in Pokemon Ultra Sun and Moon including the moves learnt by level up, egg moves and TM moves. Battle Armor Opponent’s moves cannot Critical Hit. Sniper Power of critical-hit moves is increased to 225% rather than 150%. Keen Eye Opponent cannot lower this Pokémon’s accuracy. The Pokémon ignores evasion boosts of the opponent.